Scuba fins maintenance is pretty simple. Most people just throw them back into their scuba bag and pull them out right before their next dive. I suggest that at a minimum you raise them off and give the fins and fin straps a visual inspection. The best time to inspect your equipment is right before you put it away after the dive. This will give you time to purchase a replacement strap or other items you made need. Since most divers only inspect their gear right before they hit the water, inspecting the scuba fins after the last dive will give you an additional inspection. A two time inspection is always better than a onetime inspection. 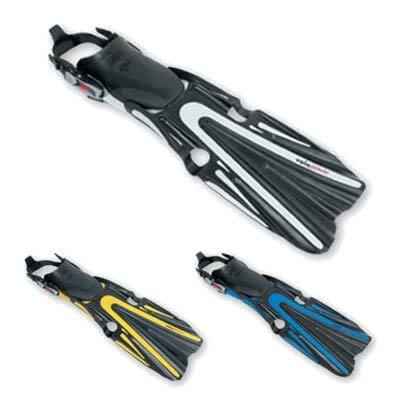 If you are going to store your scuba fins for a long period of time, I would suggest a thin layer of spray silicon to protect the rubber parts and do not store your equipment near a gas water heater of furnace. Gas appliances tend to increase the ozone around themselves, ozone is the death of rubber parts.